Language is the means by which we communicate our thoughts and ideas. It is what connects us to others and is the basis of family bonds and friendships. When there is a breakdown in communication, a child can easily feel frustrated or isolated from others. Reasons for an inability to communicate effectively may include poor speech intelligibility, difficulty with memory skills, word retrieval and/or sequencing information. Speech-Language therapy supports language development by helping to maximize your childs potential to communicate effectively at both school and home. Sessions are recommended individually and/or through groups to best meet your childs needs. Occupational therapy incorporates sensory integration techniques, facilitating age appropriate fine motor, visual motor and visual perceptual skills. SAGE for Children offers two gyms that are designed to help children work on improving body awareness, postural control and bilateral coordination skills. Emphasis of therapy is to help children achieve a level of independence so that they can more readily acclimate to their home and school environments. Individual and small group sessions are offered. Pediatric Physical Therapy works on facilitating age appropriate functional, developmental and gross motor skills. Sessions focus on developing childrens strength, balance, coordination, body, and safety awareness. Ball skills are integrated to help children improve eye-hand coordination while supporting gross and fine motor development. As children mature, they develop self-confidence and a curiosity about their physical, social and emotional world. They explore their physical and relational world through play and communication. Developmental delays can adversely impede a childs emotional and social development. Some children may develop a poor self-image, have difficulty managing their feelings or accessing age appropriate problem-solving strategies in social situations. The goal of therapy is to help your child develop adaptive strategies to strengthen his/her confidence and improve social interactions with both adults and peers. Play Therapy: Play therapy provides a safe place for children to voice their feelings, increase their self-confidence and improve interactions with others. 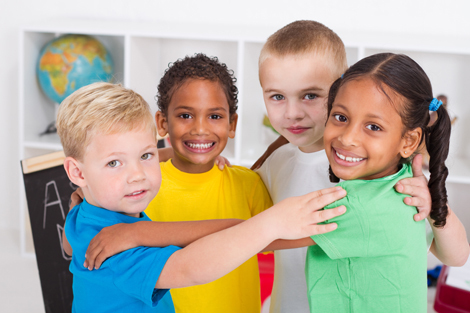 Individual or group services are offered, based upon your childs needs. Parent Guidance/Family Counseling: Individual or group support offers parents new evidence-based techniques to help their children develop. Family therapy helps a family build healthy relationships and ways of communicating.